Former Arsenal manager Arsene Wenger is reportedly set to be announced as the new Bayern Munich manager as early as tomorrow. The French tactician’s name has come up in links with a number of elite European clubs in recent weeks, with talk over potential job openings at the likes of Real Madrid and Barcelona as well. Bayern is another big club struggling right now, with Niko Kovac not impressing since taking over in the summer. Russian football commentator Kirill Dementyev is now claiming he’s hearing that Wenger will be announced as Kovac’s replacement tomorrow, in a stunning move by Bayern as they hold an unexpected press conference – also reported by the Sun. ?????? ?, ?????? ??????? ??????? ? ?????????? ??????? ????????. 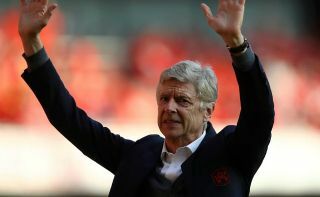 The former Gunners boss could be ideal for the Bavarian giants, despite struggling towards the end of his time at the Emirates Stadium. Wenger has long been regarded as one of the finest managerial minds in the game, and achieved great success early on in his Arsenal career. However, things went stale as he had less money to spend and had to repeatedly sell big-name players and work with youngsters who weren’t quite up to the challenge. This also coincided with more money being pumped into the game in the Premier League, allowing the likes of Chelsea and Manchester City to overtake the north Londoners. At Bayern, however, Wenger would have far more in the way of resources and could be just the kind of experienced name to come in and get the club playing at their best again.